WordPress is software. Open source content management software that allows you to use any browser to write and publish content. Your content is stored in a database, in tables kinda like a spreadsheet. WordPress talks to the database every time anyone presses a button (to show a post, search, display a gallery). Green Geeks WordPress Hosting is my new favorite because of their stance on renewable energy and good prices. wpengine.com This is a good choice because they backup and update WordPress for you (that’s managed hosting). They also have a lot of smart folks to help you out. inmotionhosting.com I hear they are well reviewed, this is the one my friend was using and the install was pretty painless. totalchoicehosting.com This is the company I have used for about ten years and they have been good to me. wordpress.com You can pay around $!20 per year and get your own domain and managed hosting right from the source. Though you may have some small limitations on custom programming, themes, or plugins that you can use. Login to your hosting provider’s admin website. 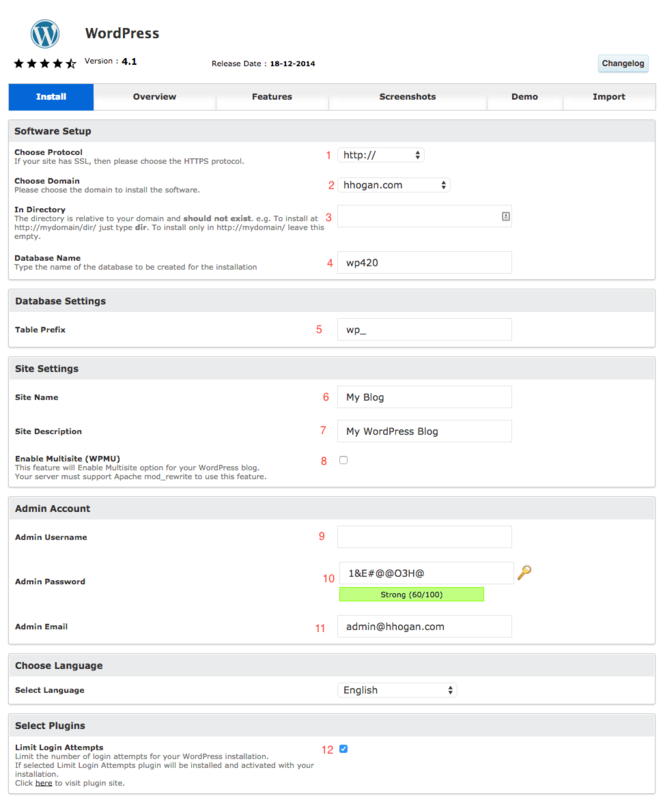 I get to mine by adding /cpanel to the end of my URL (hhogan.com/cpanel). There will likely be a TON of options. 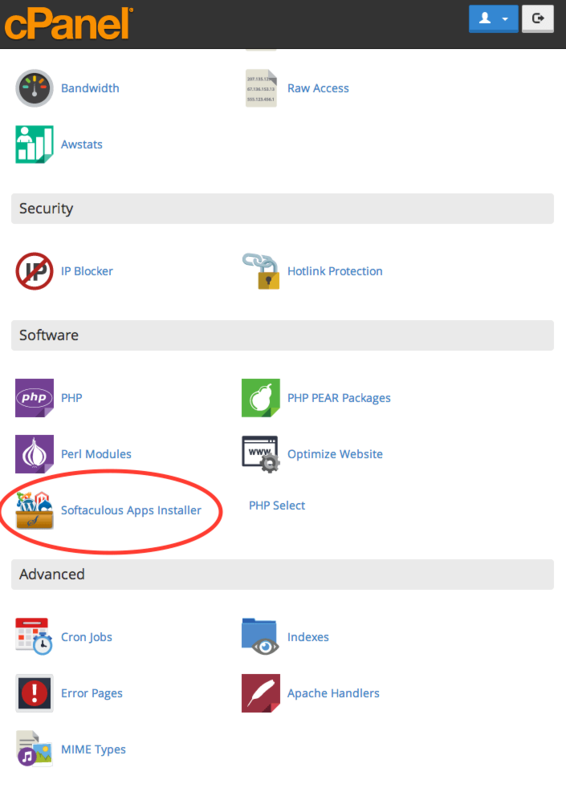 Keep your eyes peeled for that blue W logo under a section titled “Software” or “Installs” or “Extras”. The add on with my host is Softaculus, but I’ve seen it called Fantastico or Metropolis (I think). Again you may be bombarded with options… but we’re closer! That blue W is the WordPress logo, when I hover I get the install option. On the next screen you’ll need to enter some set up information. This will likely stay http unless you are running an ecommerce site. You may have multiple domain names or subdomains, make sure you are installing in the right place. Leave this blank in most cases (if you are starting from scratch). If you have other files or an old WordPress site in the root of your site, installing a new WordPress will wipe those out. If you are working on your new site and dont have a local development install (WAMP/MAMP or VVV) you can develop the new site in a folder on the domain. In that case you would enter something like /dev and to “see” your site go to http://mydomain.com/dev. You can change this to something that makes sense (like wordpress or the name of your site), especially if you have more than one WordPress install. DONT TOUCH THIS, leave it wp_. If you are reading this post you probably arent working in a multisite environment, those can be handy but tricky. Make your username something other than admin, like your name or nickname, but hard to guess. Don’t get hacked! A good way to make memorable passwords is to use a sentence like “She ate twenty burritos in Paris” can be represented as S820biP. Make sure this is your actual email. YES! limit logins otherwise a hacker can use a bot to guess your username and password to break into your site. This also means you can lock yourself out if you forget, so write this down somewhere, maybe take a screenshot (Cmd+Shift+4 on Mac). At the very end there is usually an option to email the login details. That’s a good way to keep track too. Hit Install and watch it do it’s thing! Once you get confirmation that its done, go login! There should be a link on the success page. But to login to any WordPress site you just append the URL with /wp-login.php. 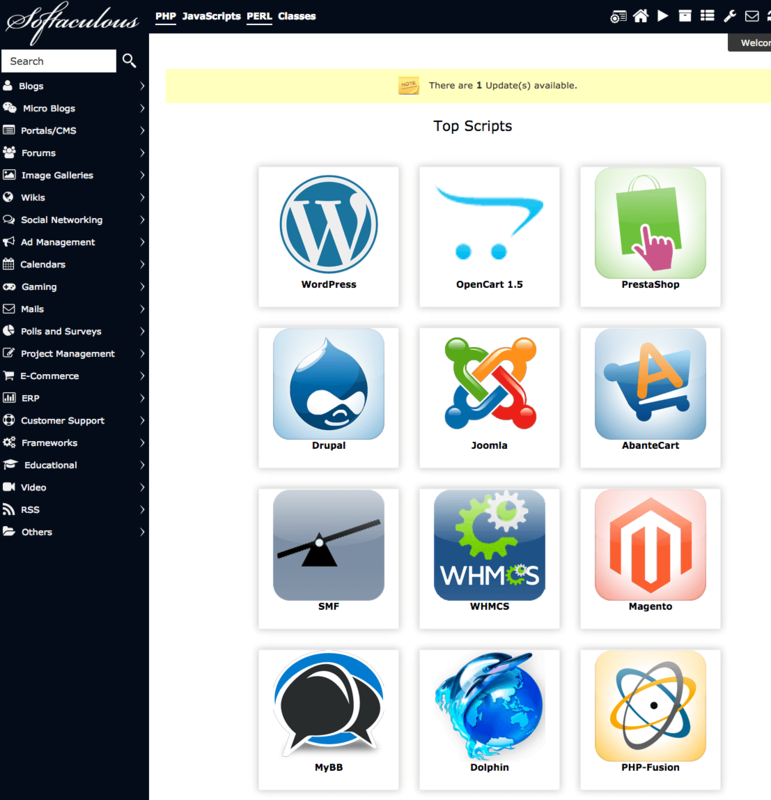 If you installed in a dev directory you would go to http://mysite.com/dev/wp-login.php. Now you can start publishing! Remember to keep your site up to date — WordPress and your plugins. My Work in a Gallery Show! Life is better with bling!